I wish I had been able to express my feelings in person. Permit me to do so through the French Minister, Mr. Armand Bernard, who has kindly consented to convey my message. I thank the Swedish Academy from the bottom of my heart. It has bestowed upon me an honour to which I should not have dared aspire. I recognize its value even more, and I am even more moved by it, when I consider that this distinction, given to a French writer, may be regarded as a sign of sympathy given to France. 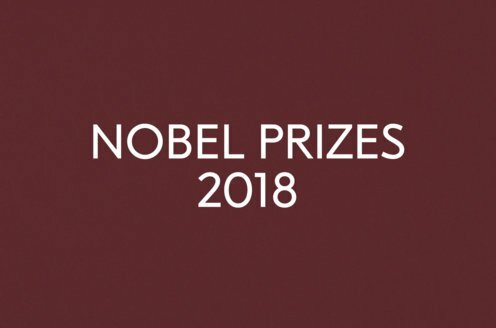 The prestige of the Nobel Prize is due to many causes, but in particular to its twofold idealistic and international character: idealistic in that it has been designed for works of lofty inspiration; international in that it is awarded after the production of different countries has been minutely studied and the intellectual balance sheet of the whole world has been drawn up. Free from all other considerations and ignoring any but intellectual values, the judges have deliberately taken their place in what the philosophers have called a community of the mind. Thus they conform to the founder’s explicit intention. Alfred Bernhard Nobel declared in his will that he wanted to serve the causes of idealism and the brotherhood of nations. By establishing a peace Prize alongside the high awards in arts and sciences, he marked his goal with precision. It was a great idea. Its originator was an inventive genius and yet he apparently did not share an illusion widespread in his century. If the nineteenth century made tremendous progress in mechanical inventions, it too often assumed that these inventions, by the sheer accumulation of their material effects, would raise the moral level of mankind. Increasing experience has proved, on the contrary, that the technological development of a society does not automatically result in the moral perfection of the men living in it, and that an increase in the material means at the disposal of humanity may even present dangers unless it is accompanied by a corresponding spiritual effort. The machines we build, being artificial organs that are added to our natural organs, extend their scope, and thus enlarge the body of humanity. If that body is to be kept entire and its movements regulated, the soul must expand in turn; otherwise its equilibrium will be threatened and grave difficulties will arise, social as well as political, which will reflect on another level the disproportion between the soul of mankind, hardly changed from its original state, and its enormously enlarged body. To take only the most striking example: one might have expected that the use of steam and electricity, by diminishing distances, would by itself bring about a moral rapprochement between peoples. Today we know that this was not the case and that antagonisms, far from disappearing, will risk being aggravated if a spiritual progress, a greater effort toward brotherhood, is not accomplished. To move toward such a rapprochement of souls is the natural tendency of a foundation with an international character and an idealistic outlook which implies that the entire civilized world is envisaged from a purely intellectual point of view as constituting one single and identical republic of minds. Such is the Nobel Foundation. It is not surprising that this idea was conceived and realized in a country as highly intellectual as Sweden, among a people who have given so much attention to moral questions and have recognized that all others follow from them, and who, to cite only one example, have been the first to grasp that the political problem par excellence is the problem of education. Thus the scope of the Nobel Foundation seems to widen as its significance is more deeply realized, and to have benefited from it becomes an honour all the more deeply appreciated. No one is more fully aware of this than I am. I wished to say so before this illustrious audience, and I conclude, as I began, with the expression of my profound gratitude.